I have recently decided to start a self-love planner for the “plans” mentioned in my last blog entry. In this planner, I intend to write everything self related. Plan when I want to explore, business plans, blog entry ideas, etc.. All stuff that is self-love related for me. This will not have my everyday activities such as work, appointments, cleaning plans, etc. I will post updates so everyone can see what I have been up to. 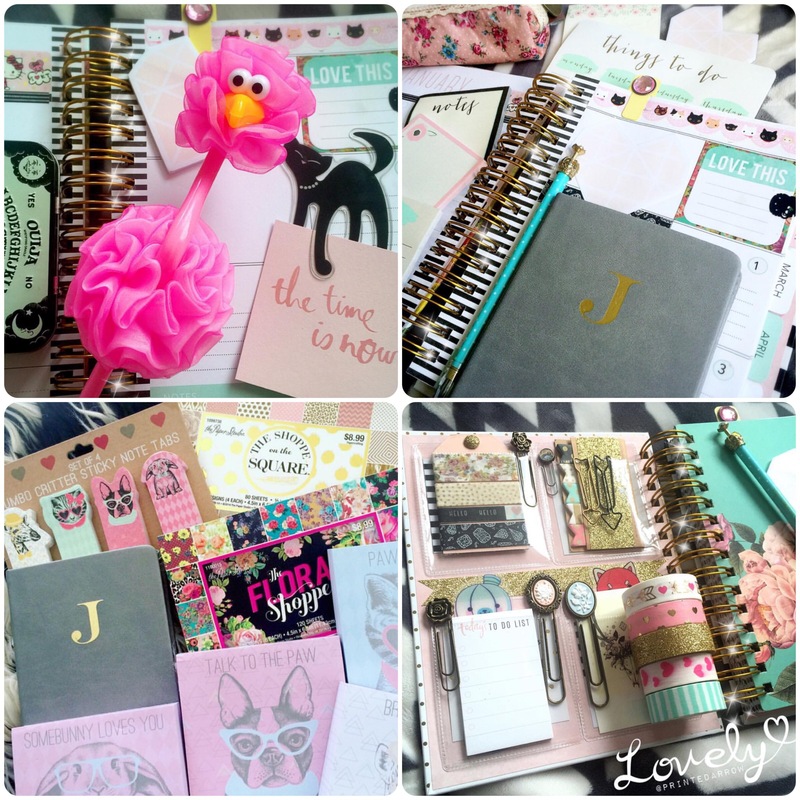 If anyone is interested in finding my planner/blog Instagram, my name on there is @PrintedArrow. I’d love for you to come be part of my planning experience! Hello everyone.. sheesh it has been quite some time since i’ve written a blog entry. I apologize & promise that is no longer going to be the case. I know so many people make New Years Resolutions.. and don’t follow through, so this is NOT a resolution… but a life change. I miss writing and have had so many things going on in my life lately that i would love to share with all of you! I hope you are all enjoying 2016 so far & I wish you all a beautiful year to come! So.. Recently, my best-friend Emerald and I have decided to take the leap in the new year and focus on ourselves… learn to truly love ourselves. We have come up with small goals for us as human beings and are really excited to simply improve our happiness and love for life. For example, I want to learn how to cook.. explore more.. etc. She is learning a new language. We both are helping each other become more positive and more organized with our lives by planning & journaling. I have been using my planner for about a year now and really love it, I am sending her a huge box of goodies to get started and am super excited to do this together. We have been friends for 20+ years now and i absolutely love her to death. She is definitely one of the most beautiful people I know.. inside & out. Other news.. single mommy stuff. We are having so much fun, I am starting a new job soon at a hospital working three 12hr night shifts a week and am honestly so excited because I will be helping people and also because i will be with my babies more during the day! I miss them so much working the regular 9-5 shift. Also, i’m planning to work on re-opening my shop!! I’m really excited for things to come in the near future. I’m not setting any major dates yet because honestly, I want to do it at my own pace. This year is about self love and moving forward and I look forward to both. Thank you for reading! Good morning everyone! I really hope you are enjoying your week so far. As mentioned in my previous post.. I have recently moved & am new to this single mother thing.. so I have been looking for ways to help me save since life is pretty expensive obviously. I did find lots of ways to try and save.. a lot of couponing, which I would love to say I could do, but it’s so time consuming and right now I simply don’t have that. Maybe one day. Besides that, I found a few other ways that I am going to start with to see if they help. 1. Errands All in one day each week: Each week, I plan to try and run all errands one day of the week. This will hopefully help me save on gas, money i would spend on food for the minis and I while out & snacks that I would take with us. This will give me more time to spend with them doing things like going on walks, playing at the park, going to the pool, etc. It will also keep our food healthier because a lot of fresh snacks cannot be out of the fridge in the heat all day & fast food… is well.. gross. haha. 2. Electricity: Phantom Electricity – This is a small thing that I’ve hear can make a huge deal.. Basically, if you aren’t using something.. un-plug it. Even though electronics are plugged in & turned off, they are still sucking up electricity. I am also going to try and use the dryer less. I have toddlers so obviously I have to still use it, but some things I will hang dry. In addition to those, I am going to try and not mess with my air conditioning. I have a bad habit of turning it up and down a lot. I am going to keep it a little warmer in the summer and probably not use it in the winter since it’s florida… but i read to keep summers warmer & winters cooler for places with seasons. 3. 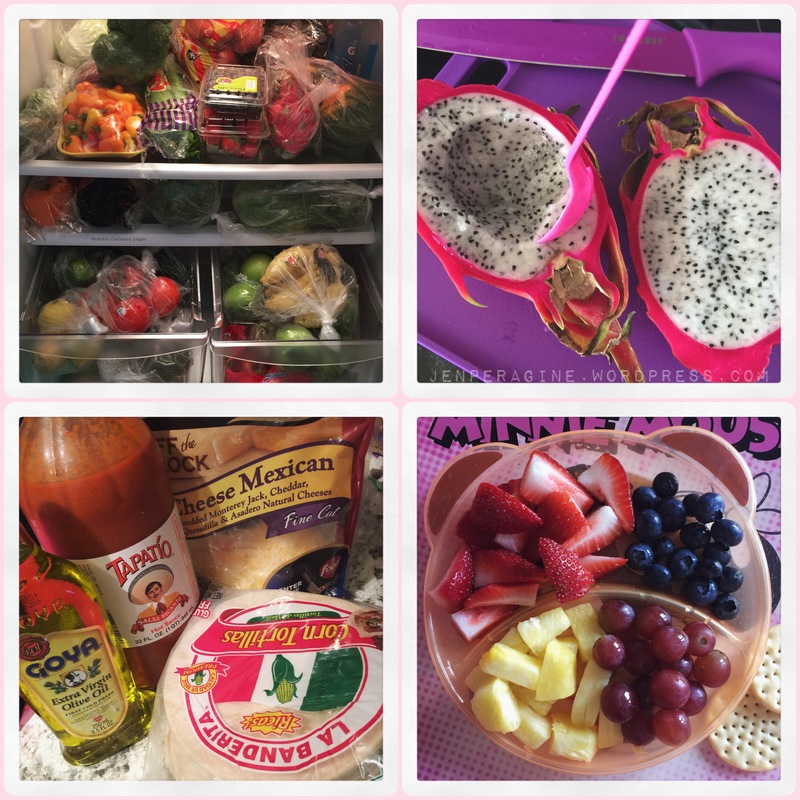 Monthly Meal Planning: Besides produce, I am going to attempt to meal plan my entire month. Apparently a lot of coupons do this when they get burnt out on couponing. The idea is that you spend less because you can prep a lot of meals that use the same items, so you wouldn’t have to re-purchase things in following weeks to make a meal. It also helps because if there is an item on sale, you can plan meals around those basic items and stock your supply all at once. I liked this idea because it helps save, but also because my little ones are at an age where grocery shopping is fun at times and at other times they hate it. 4. Handmade/DIY: I know a lot of you are aware that I craft a lot. Yes this helps when my minis want cute things or to make something special to match a dress, etc… but what I mean is.. learn to sew basic things.. if the seam on something starts to unravel, sew it.. don’t throw it out & buy new. Kids are crazy at times and their clothing gets majorly abused. Learn how to fix small things like that. DIY (Di It Yourself) with things around your home. Learn how to fix little things, make things, make your own cleaners, etc.. whatever fits you personally. 5. Local Markets: The other day I finally got to go to a farmers market! I had been wanting to go to one the last few years I had lived in Pittsburgh, PA but never got a chance to. Well… I found one only about 10 minutes from where I live. It was a small one but i LOVED IT!! I am a fruit & vegetable lover so I was in heaven seeing all of the fresh produce. There were very few things that looked as if I wouldn’t buy due to freshness unlike at most grocery stores I’ve been to. I purchased 2/3 of my fridge (shown below) full of produce for only $50. I was completely amazed. $50 of produce at the grocery store isn’t much on top of having to really sort through to find simple things like a bag of grapes that isn’t smashed or a container of 100% non-moldy blueberries. I know.. gross… but the truth. It was nice, easy and my bill was comforting. Thank you everyone for taking the time out to read my new post. I really hope that it can help some of you save as well! I hope you all have a beautiful day! Here it is everyone! My adorable PaperChase-USA order!! I love love LOVE everything! Shipping wasn’t too bad either, I was so impatient to receive my order that I felt like it was taking decades haha! It actually took a little over a week, which was longer than they said but not bad at all! I can’t wait to order again! Thank you all for reading! Have a lovely Sunday! Have a wonderful day everyone & thanks for reading!! I have been looking for a “pocket planner” for some time now & today I was on PaperChase-USA’s website and came across this cute little thing! They also had some really good sales on some of their collections. I absolutely love the “Dreamscapes” items and decided to get a few.. I cannot wait to receive them.. Once I do, I will post about them since this is my first PaperChase USA order. I hope they’re as adorable in person as they are online! Thank you for reading! Post again soon! Hi everyone! Welcome to my blog. I really appreciate you stopping by! I used to blog a few years back and really loved it so I am hoping this journey really gets me through some things.. I seem to be going through tons at the moment… I don’t really want to go in to it now.. but I will over time I’m sure. To start.. I am a mommy to two amazing little minis that you will be seeing frequently.. I am also planning to move to Florida in the VERY near future AND I love to create…. ANYTHING… I am a freelance graphic designer that is also obsessed with crafting so I really hope to share a LOT of that with you all. Please feel free to communicate with me… I am not one of those bloggers that just want people to follow them.. TALK TO ME.. it’s fun, who doesn’t like to meet new people?!! ok.. so here goes.. I hope you enjoy my new life journey..
Mommy of two minis, designer, crafter & blogger. Loving life, loving new adventures and finding the new me. I hope you enjoy my new journey!